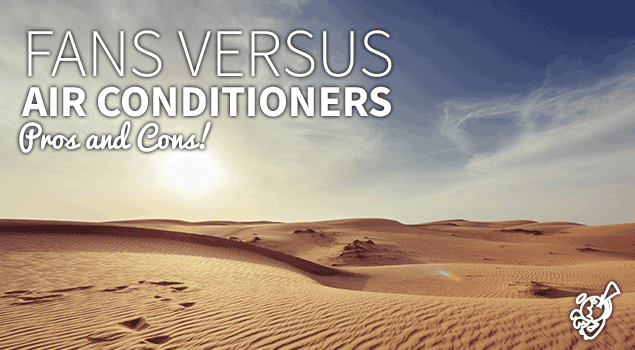 Air Conditioners Versus Fans: Pros And Cons • The Air Geeks, reviews of air conditioners, dehumidifiers and air purifiers. During summer, the temperature of the air in your house can reach unfavorable levels and make your home or office an unsuitable place for relaxing. To ensure that the temperature of the air in your room remains with the desired level, an air cooling system is required. Air cooling systems come in different designs and makes. They range from central air conditioning systems to fans. The efficiency and effectiveness of these systems vary, and it is important to consider the performance of each option before ordering a cooling solution for your home or office. Air conditioners are one of the most effective air cooling solutions. They come in different types, designs, capacities, and sizes. Some air conditioners are designed for multiple rooms while others are designed for single rooms. For instance, central air conditioning systems are suitable for cooling multiple rooms while portable air conditioners are designed for cooling one room at a time. In addition to air conditioners and air coolers, fans are also used for cooling purposes. However, the effectiveness of a fan is usually low. An air conditioner cools your room by extracting heat from the air and exhausting it outside. Most of them utilize a refrigerant to cool the air in your room and ensure that it remains within the desired level. The effectiveness of the cooling process varies depending on the design of your air conditioner. A fan blows air but it does not cool it. Unlike air conditioners, fans are cheaper and they consume less electricity. If you are looking for a cooling solution and you have not yet decided what to go for, we have researched to provide you with pros and cons of each option. Without further ado, we will start with the air conditioners. An air conditioner extracts hot air from the air in your home or office and exhausts it outside. Most of them use a refrigerant to ensure that your space has the desired temperature. The air conditioner fan draws air to the cooling coils where it is cooled before it is released back to your room. When installed properly and serviced on regular basis, an air conditioner ensures that your space always has cool air. Apart from cooling the air in your room, most air conditioners are capable of pulling excess moisture from the air. This makes an air conditioner a suitable choice for cooling purposes in environments that have excess moisture. You can use the condensate for watering your garden or washing your car. This additional functionality helps to enhance the environment of your room. An air conditioner allows you to set your desired temperature. It keeps on monitoring the environment of your space to ensure that the temperature remains within the desired level. 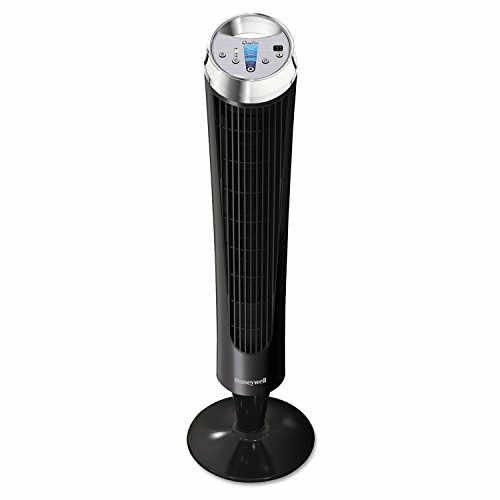 The air conditioner fan draws air continuously to ensure that its temperature does not go beyond the set temperature. Most air conditioners have additional features to enhance the way you control the environment of your home or office. Most air conditioners have a timer, a remote control, an intuitive user interface, and different speed modes. Furthermore, some air conditioning systems feature a built-in heating system for warming your space during winter and a built-in pump for pumping the captured moisture to an external sink. As compared to a fan, an air conditioner consumes more power. The amount of electricity consumed by your air conditioner mainly depends on its capacity, hours of operation, and features. You can significantly cut electricity consumption by ensuring that your unit does not run continuously or when not needed. It is also advisable not to use additional functionalities unless when you need them. For instance, if your unit has a built-in pump, you should avoid using it unless it is not possible to pump the condensate under gravity. The cost of buying an air conditioning system mainly depends on the capacity of the unit and the features that it offers. The cost of buying an air conditioner is higher than that of a fan. 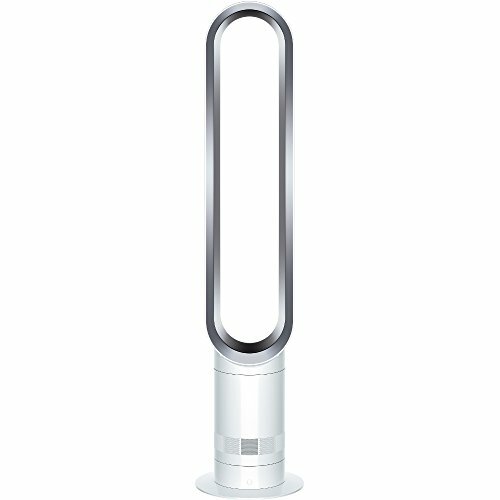 If you are looking for a cheap solution, then you should go for a fan. The cost of servicing an air conditioner can be high, especially if you have a central air conditioning unit. For portable air conditioners, the cost is lower. The cost of servicing a fan is the lowest. As compared to air conditioners, fans consume low power. In case you have a small fan, it can run for many hours without causing a noticeable effect on your electricity bill. The cost of buying a fan is usually lower as compared to that of an air conditioner. If you have a lean budget, then you should go for a fan. It is easy to service a fan. The effort required is smaller as compared to that of an air conditioner. You can service your fan in a fraction of an hour. It is easy to install a fan. You just need to unpack it and plug it into a power outlet. In comparison, a portable air conditioner requires more time because you need to install a venting system. Central and window air conditioners demand more installation time and effort. As compared to air conditioning units, fans do not have a mechanism for cooling the air. They operate by blowing the air but they do not cool it. When placed in a suitable position, a fan can blow cool air into your room. However, it is not an effective solution because it lacks a mechanism for cooling the air.